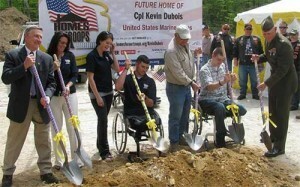 What is the Builders Helping Heroes Program? Builders Helping Heroes is a non-profit 501(c)3 initiative in which members of the Rhode Island Builders Association (RIBA) donate their time, energy and resources to provide construction assistance to the families of military personnel injured or killed in armed conflict since September 11, 2001. 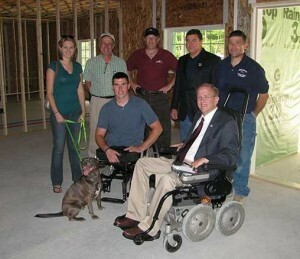 Typical projects range from accessibility improvements such as installing a wheel chair ramp, to interior renovations. A board of RIBA representatives, advised by members of the Interservice Family Assistance Committee, will lead the program along with the help of volunteer RIBA member contractors who will organize and supervise the projects. Military personnel entitled to be awarded the Purple Heart Medal after September 11, 2001 are eligible for assistance from Builders Helping Heroes. Dependent family members of military personnel killed or wounded in action after September 11, 2001 are also eligible for construction assistance. Construction projects must take place on primary residences in Rhode Island. How is Builders Helping Heroes funded? Builders Helping Heroes will be financed with contributions from RIBA, the general public, local businesses, veterans organizations and other governmental units. 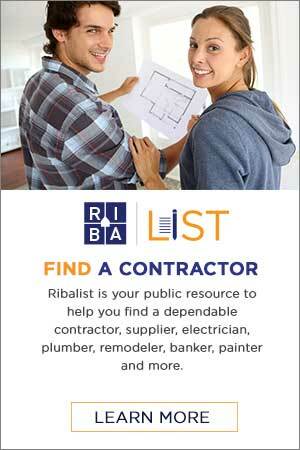 In addition to periodic project funding, RIBA will fund ongoing administrative and organizational costs. Assistance will be awarded to veterans and their families at no cost. The Builders Helping Heroes Board of Directors will consider all applications and will approve projects based on need and available funds. Recipients may or may not participate in any program publicity.